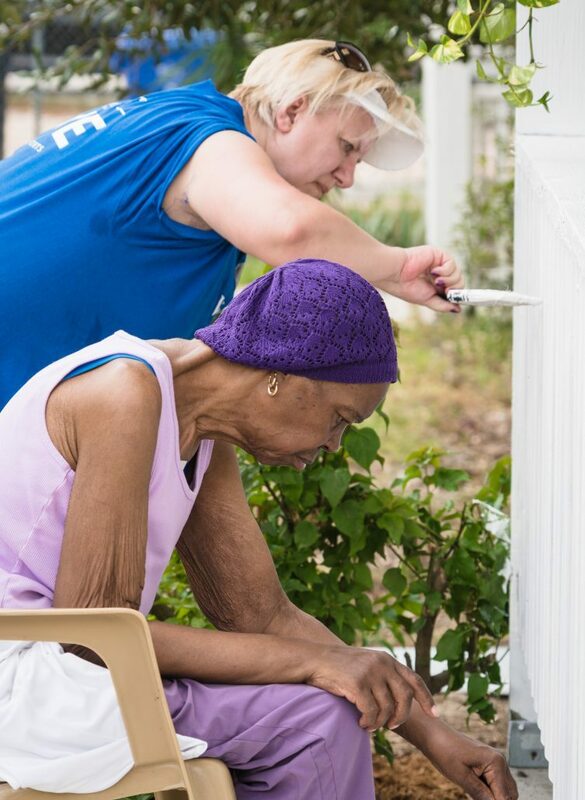 The Habitat for Humanity of Hillsborough County Home Preservation program provides exterior home repairs and landscaping to income eligible homeowners throughout Hillsborough County. Home Preservation is more than a simple fix and paint program. 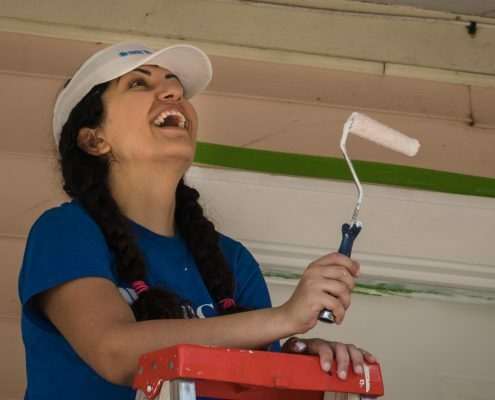 It brings people together to accomplish something special – to partner with homeowners and create and enhance community relationships. 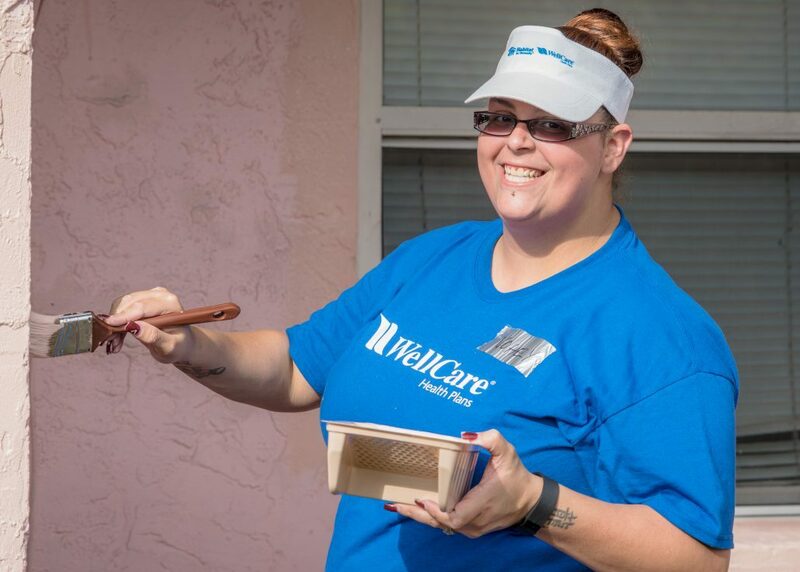 We use volunteers and donated materials to make repairs, helping low-income homeowners continue to live independently and securely in their homes. Homeowners, in accordance with income eligibility, repay certain costs. These payments, combined with community contributions, supply the Home Preservation fund and allow us to continue to serve additional homeowners. If you currently own a home that needs minor repairs and exterior enhancement, you may be eligible for the Home Preservation program. 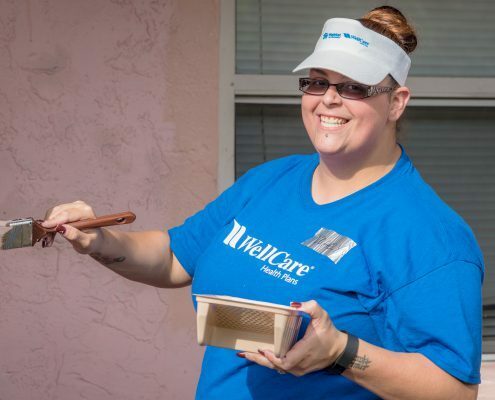 We offer this program to qualified homeowners in Hillsborough County who are willing to partner with us, through sweat equity, to improve their home’s exterior presentation and durability. Eligible repairs include pressure washing, scraping, caulking, painting, minor soffit/fascia repair, yard clean-up, additional landscaping, porch repairs and accessible ramps. 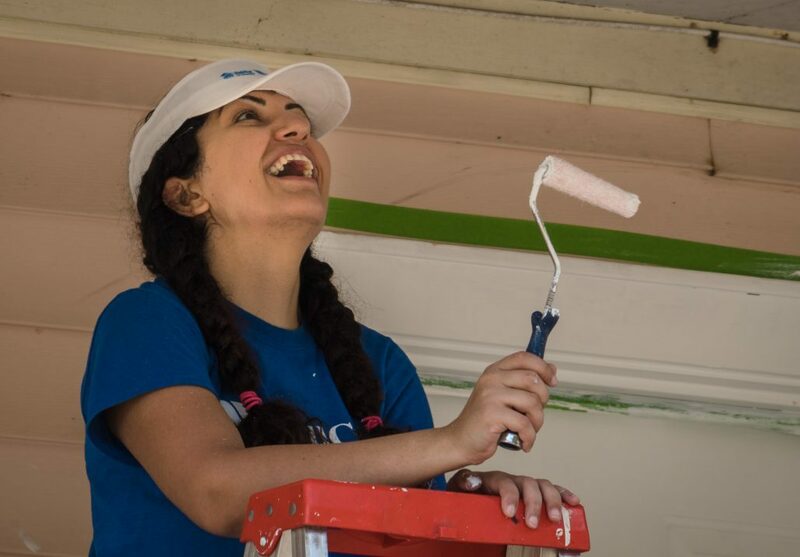 Through the support of our generous partners and volunteers, we are able to provide these materials and services at a fraction of the cost to the homeowner. Homeowners must complete a Homeowner Application and disclose all information needed during the application process. Homes must be owner-occupied in Hillsborough County, and homeowner must have lived in the home for at least 12 months. Homeowners must meet income qualifications. 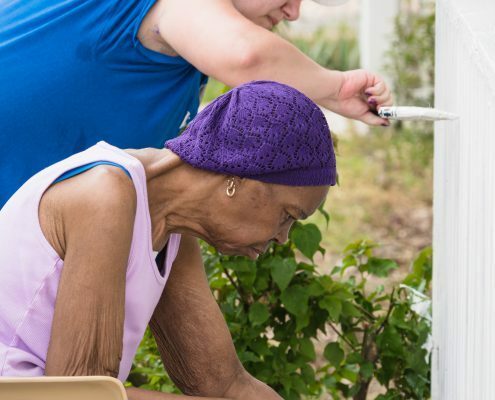 Homes must have a Scope of Work that can be accomplished with the resources and volunteers made available through the Home Preservation Program. 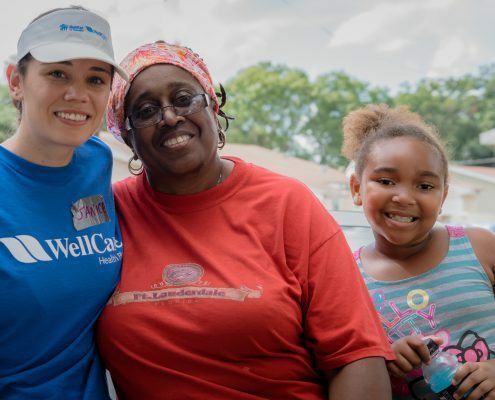 All able-bodied household residents are required to work alongside volunteers during the project to complete the required 6 hours of “sweat equity.” Family members and friends can also provide “sweat equity” if the homeowner is not physically able to do so. The Homeowner may also provide “sweat equity” on our construction sites or at our ReStores. 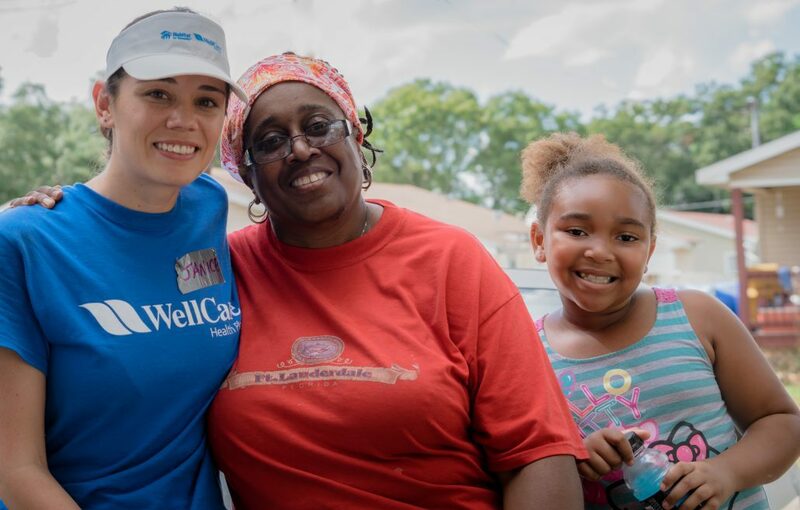 Other forms of “sweat equity” include providing lunch, snacks or drinks for the volunteers on the day of work. Homeowner household income must be between 0-80% AMI (Area Median Income). Homeowners must be willing to make monthly donations for the work provided at a percentage of the cost of the Home Preservation Project. The income limits required to be eligible for the Habitat Home Preservation Program are based on the number of people who live in the home. The limits are 0% to 80% of the Area Median Income (AMI) for Hillsborough County. AMI numbers are based on guidelines adjusted each year and defined by the U.S. Department of Housing and Urban Development (HUD). These figures included many forms of income: employment, public assistance, Social Security, disability, child support, etc. Habitat recommends that the amount of repayment cover a portion of the cost of materials purchased by Habitat to complete the Scope of Work. The total payment for materials is to be determined by the homeowner’s percentage of Area Median Income. For example, if the total household income is 50% of the Area Median Income we request that the homeowner make repayments in the amount of 50% of the cost of materials. (For example, if the materials for the project cost $1,000, then we ask the homeowner to repay $500 on a schedule that is affordable to the homeowner.) The total price for materials can be estimated upfront. Habitat requests that the homeowner make monthly payments after the work is completed. The minimum monthly payment is $5, up to the most the homeowner can afford. These payments will go to helping other families in Hillsborough County, Florida. If you are interested in applying for Home Preservation, please contact Jeremy Cooke, Home Preservation Coordinator, at homepreservation@habitathillsborough.org or at 813-239-2242 extension 106.